DAWSONVILLE, Ga. – Board member William Wade made a plea during Monday’s Dawson County Board of Education meeting for citizen support of HB 781, that would give Georgia school systems more flexibility in spending education sales tax revenue. The bill, which is sponsored by state Rep. Kevin Tanner, would allow Georgia school systems to amend the existing sales tax to include maintenance and education programs in the authorized purposes for expenditures. If approved in the General Assembly, the bill would have to be approved in a referendum by Dawson County voters to be enacted. 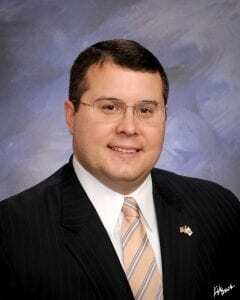 The bill received a favorable report in a House committee on Feb. 8. From left, the spelling bee champions, Clara Baldwin, Briana Escoto, Eva Fulmer and Brandon Cramer. Aside from Wade’s comment, most of the meeting was devoted to recognizing outstanding achievements by students and staff. The Dawson County seventh grade girls’ basketball team received special recognition for posting an 11-1 record and winning the Mountain League Championship. Dawson County High School students Amber Autry and Rob Cox were honored for their outstanding performances at the Future Farmers of America (FFA) state competition. Autry finished second in Area 1 and third in state in Floral Design. She also had the highest score on the written exam. Priscilla Taylor, middle, awards HOBY plaques to outstanding students Taylor Daniel, left, and Braxton Zeidler. Cox was second in Area 1 in Electrical Wiring Problem Solving. He also finished second in Area 1 and fourth in state in Lawn Mower Safety and Operations and had the highest individual score in Dairy Evaluation. Riverview Elementary School was recognized for receiving the Georgia Office of Student Achievement (GOSA) Platinum Greatest Gains Award. 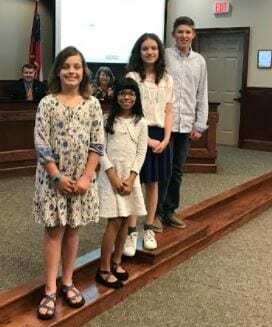 School and system spelling bee winners recognized included Briana Escoto (Robinson Elementary), Clara Baldwin (Kilough Elementary), Bella Boyd (Blacks Mill Elementary), Eva Fulmer (Riverview Elementary), Noah Smith (Dawson County Middle) and Brandon Cramer (Dawson County Junior High). Baldwin was the system winner and Cramer was named alternate. The board also honored its school counselors: Sabrina Graves (School Social Worker), Beverly Maloney (Homeless Liaison), Jordan Lefevre (Black’s Mill Elementary), Nicole Purdy (Kilough Elementary), Jeremy Lavender (Riverview Elementary), Lance Stiffler (Robinson Elementary), Pat Finn (Hightower Academy/Dawson County Junior High), Brian Flath (Dawson Middle School), Becca Wilson (Dawson County Junior High), Cherie Ferguson (Dawson County High) and Kate Jarrard (Dawson County High). 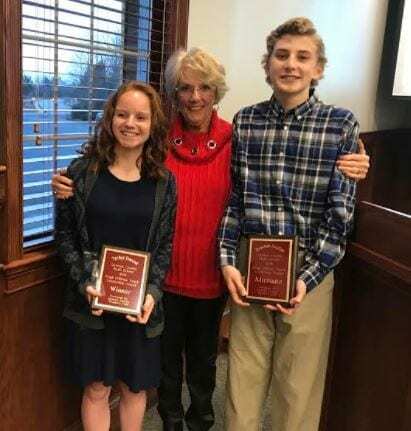 Priscilla Taylor, of the Dawson County Womens’ Club, presented the club’s Hugh O’Brien award (HOBY) to Taylor Daniel and Braxton Zeidler. 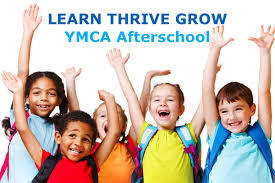 DAWSONVILLE, Ga. – In an early-morning meeting today, the Dawson County Board of Education voted unanimously to allow Superintendent Dr. Damon Gibbs to sign an agreement with the Hall County YMCA to provide after school care for Dawson County students for the 2017-18 school year. Commissioners approved per diem for school board members Doris Cook, Karen Armstrong, Elaine Wilson, Roger Slaton and William Wade who attended various events and provided services on behalf of Dawson County Schools. They also approved an overnight trip for Dawson County High School basketball and football cheerleaders to the University of West Georgia in Carrollton, Ga. where they will stay in a UWG dormitory. The cost per student is $300. DAWSONVILLE, Ga. — Dawson County Board of Education approved spending $27,000 with a Florida-based communications firm during Monday’s meeting in an effort to improve its communications and business partnerships and increase stakeholder involvement. The company, Voss & Associates, provides services and products exclusively for education and has formed a partnership with the Georgia School Boards Association and Georgia School Superintendents Association to provide economical solutions for school districts. The agreement was one of seven items to be approved under the Consent Agenda which can be approved by a single vote without further discussion. Under Action Items, the Board approved a guaranteed maximum price (GMP) of $1.75 million to construct the new JROTC facility and parking lot. The contractor is Carroll Daniel Construction. 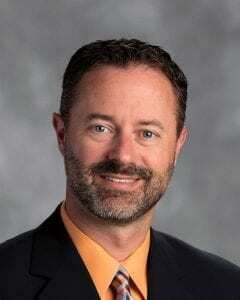 Superintendent Dr. Damon Gibbs said the parking lot should be completed this school year and the facility by October. The Board also approved an amendment to the Apple Lease Agreement that will allow the school system to utilize approved ESPLOST funding to lease Ipads for Phase II rollout, which includes grades K-5. Monday was also a night to recognize achievement within the school system. Dawson County High School’s girls’ basketball team finished as the region runner-up and earned a fifth trip to the state playoffs where they reached the Elite 8 in the state tournament. The Tigers’ wrestling team enjoyed an outstanding seaon, posting a 25-8 record, including a win over the North Carolina state champions and had five wrestlers to qualify for the state meet. The Tigers boys’ basketball team posted a 14-14 record and finished fourth in the district tournament to earn a trip to the state tournament. The Dawson County High Chorus had five members qualify for the state chorus. Achievement (GOSA) Greatest Gains Gold Award. Riverside had a three-year average CCRPI progress score in the 97th percentile. The Dawson County High Chorus had five state qualifiers. 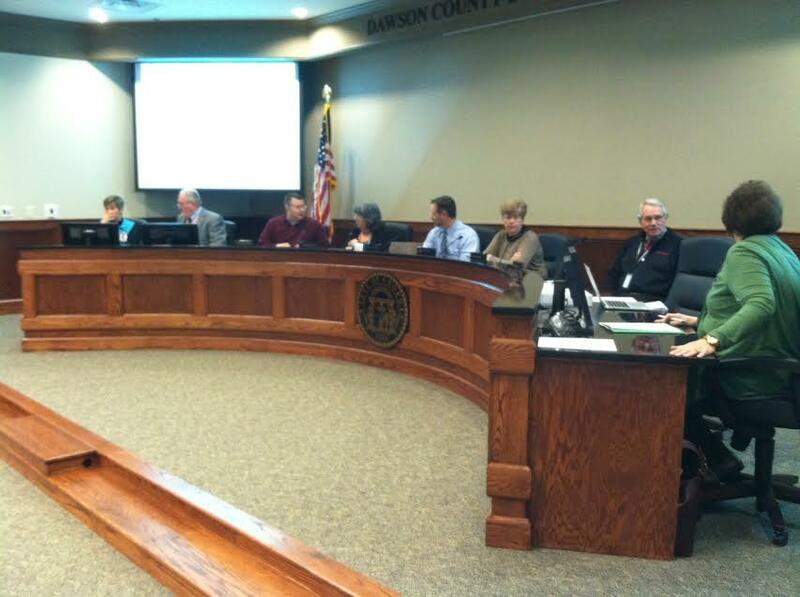 DAWSONVILLE, Ga. — The Dawson County Board of Education is expected to vote on spending $4,500 a month to contract with a Florida-based communications company at Monday’s Board meeting. The meeting will be held in the Board of Education Building, 28 Main Street starting at 6 p.m. If approved, the Board will enter into a six-month agreement with Voss & Associates at a total cost of $27,000 in an effort to improve communications and business partnerships and increase stakeholder engagement. According to the county website website, Voss & Associates provides services and products exclusively for education and has formed a partnership with the Georgia School Boards Association and Georgia School Superintendents Association to provide economical solutions for districts. The Board will also vote on the appointment of Roger Slaton as delegate and Karen Armstrong as alternate to represent Dawson County Board of Education at the Delegate Assembly in Savannah on June 9, 2017. 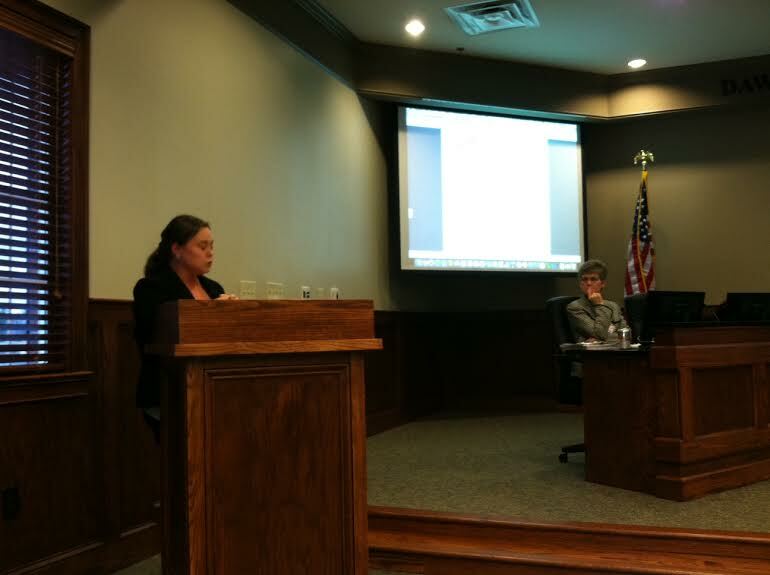 DAWSONVILLE, Ga. — Dawson County Director of Teaching and Learning Nicole LeCave shared FY16 College and Career Ready Performance Index (CCRPI) results when the Board of Education met in a work session Tuesday. In discussing the county’s elementary schools, LeCave said, all elementary schools scored above the state score. Riverview Elementary increased its score from 69.1 in 2013 to 91.7 in 2016 and earned all 40 progress points for the second year in a row. “That is phenomenal,” she said. Blacks Mill increased its score by 6.2 points from last year. At the middle school level, LeCave pointed out that both middle schools scored above the state score and that the district middle school score is well above state average. She also said that both middle schools earned more achievement points in FY16 than in FY15 and ranked in the Top 5 in RESA district for achievement points. Dawson County High School scored above state score, earned more achievement points in FY16 than in FY15 and ranked in the Top 5 in RESA district for achievement points. She also pointed out that the Progress and Achievement Gap is a concern at all levels. Superintendent Dr. Damon Gibbs was pleased with the results, but expressed frustration in the timing of the release of the information from the state. Jamie Ulrich, Executive Director of Financial Services presented the financial report and eSPLOST report for the month of December. The Board also discussed approval of a position guide for Chief Operations Officer, Warehouse Courier and Routing Assistant before going into executive session to discuss personnel matters.